The fresh vegetable processing line uses state-of-the-art technologies, including an IQF freezing tunnel. This enables the quick processing of vegetables, within a three hours interval from harvesting, locking in their nutrients. The reason why frozen food last longer than fresh is because in fresh vegetables, nutrients are lost in shipping and shelving. For that, and during flash freezing at Frigorifer, vegetables are frozen instantly. Their cell walls are not damaged, thus preserving their flavor, texture, and color. Quality control ensures that only the finest crops make it to the package. 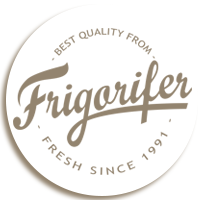 Even better, Frigorifer’s flash-frozen vegetables taste as fresh as they did the moment they were picked.